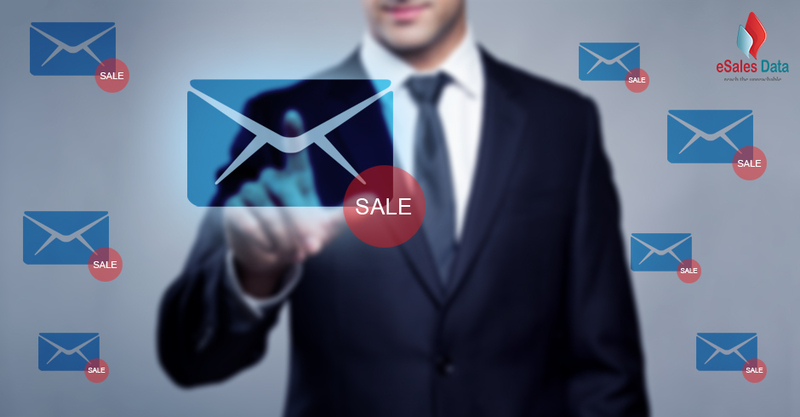 Often, people have a lot of apprehensions before investing in b2b mailing lists. Lack of knowledge and understanding results in confusion, especially if the buyer is a first-time buyer. Even experienced buyers too end up putting their hard-earned money into the hands of providers who fail to deliver what they promise. That is why when planning your next direct marketing, telemarketing or email marketing campaign, make sure you don’t fall prey to false claims. Do not forget to verify data accuracy before investing. There are many data providers in the market to lure you with attractive deals and offers. But your focus should be to look for authentic data sources that can address your marketing needs and hand you with successful results rather than failure disappointments. A lot of businesses question the significance of buying mailing lists to support marketing campaigns. All we can say to them is if have something to offer for sale and you those offerings to get the right exposure and attention, a mailing list can be of great help. It will provide you with complete contact details about your prospects including their email and postal address, full name, phone, and fax number, etc. Using this information not only you can approach them with a sales pitch but can also build relationships and drive better customer engagement with your brand. As there are different kinds of mailing lists available in the market, selecting the appropriate ones for your business is challenging and tricky as well. Once you have a clear idea about who your targeted audience is and have a strategy, to begin with, you can purchase mailing and email lists from reliable and reputed providers who are well-known in the industry. However, the process is not easier as it may sound. You need to be very careful while finalizing the one from whom you can get the most accurate and useful data for your campaigns. There are two things you can do: one is purchase data, and the other one is building your mailing list. The first option is cheaper and suitable for businesses that are on a tight budget. However, the process of compiling a list of contacts can be time-consuming and would require a lot of effort. The other option may sound expensive, but it will offer you a seamless journey towards getting an ideal list in no time. When you purchase a mailing list from a vendor, you need not worry about any related complications and can focus more on your marketing strategy. The decision to whether to buy or build your list solely depends on the specific needs and resource of your business and marketing objective. A marketing campaign can be effective only when it reaches those who are interested in buying your products and services. Before asking for a contact list, make sure you have a clear idea about your targeted audience. You must know whom to approach and then accordingly purchase their contact details for business communication. One of the smart ways to do so is targeting those prospects who have already shown interest in your brand rather than blinding playing the guessing game. People who have already visited your website, filled in the contact form and subscribed for newsletters should be your ideal prospects. Convincing these customers can help you generate business opportunities from them. Hence, you must first identify potential customers and then seek their contact information. Often marketers collect contacts first and then sit to sort out whom to approach. However, this technique is not at all beneficial and useful as generic lists may include customers who are nowhere relevant to your business, and you end up wasting your time contacting them. Self-made list: The list that you create yourself by compiling the contact details of all existing customers, present customers and those who have recently contacted you. Demographic list: This type of list offers targeted data based on demographics such as location, age, job title, revenue size, company type, industry, etc. The list provides specific data with respect to individual customers and can be customized as per business needs. It helps you to target only those who matter and avoid wasting time in generic approaches. Segmented list: Quite similar to a demographic list, a segmented list is however even more specific and targeted. It offers segmented data that clearly and in brief brings every minute detail about the prospect including prospect’s buying patterns, preferences, purchase habits, and more. Many database providers offer ell-segmented data to help customers run personalized and targeted campaigns for better returns. Opt-in list: Opt-in lists mainly include the records of customers who have willingly opted for any services or further communication from your brand by visiting your website and filling forms. List of Responsive Customers: This list includes customers who have shown interest in your type of products, may be not directly but on any other platform similar to yours. You can get this type of list from direct mail companies, magazines, and private list providers. Now, comes critical and the analytical part of finding your ideal mailing list that is finalizing the list provider. Once you are done with the basic elements like list of targets, the kind of list you want and what resources you have, there comes the vital aspect. Now, you will have a list of names from whom you expect to get a quality list of sales leads for your business. But you won’t purchase from all, right? Hence, before selecting that one provider, don’t forget to do some research about the company. If the provider is a popular name in the industry, then you can look for relevant customer reviews, feedbacks, and testimonials to verify the authenticity and worth of the email contacts they provide. For established companies, hiding facts are difficult. Hence, go with a well-known provider when buying a B2B email list. However, you should still find references to check the quality of their data solutions and services. Make sure to check whether the company is offering legal addresses and targeted contacts or not. As doing so will prevent any future challenges to obstruct your way. •	The company offers all the necessary details including business address, email and mailing address, phone numbers, SIC code, and so. •	The data offered should be collected from reliable outlets and through opt-in campaigns and emails. •	Data should be verified, updated and validated at regular intervals. •	Experienced and expert professionals should form the team and assist you with relevant guidance. Once the list is handed over to you, don’t just blindly accept whatever is delivered. There are vendors who fill in the lists with dummy contacts that are of no use, and you just waste your money in buying such as list. Hence, it is important on your part to check the relevance and how genuine is the list you got from the provider. Moreover, it’s a common practice for vendors to access and use data are not permissioned or has limited usage rights. Still, they continue to sell them for making money. That is why it is advisable to inspect every data of the list to ensure that your investment didn’t go wasted. Getting access to a list that offers great value for every dollar spent is not a complicated task. You just need to be wise and make informed decisions to stay on the beneficiary side of your investment. •	What is the deliverability ratio they can offer? •	How often is the list updated? •	Do the list they offer have unlimited usage option?